The DAISY Foundation was established in 1999 by the Barnes family in memory of J. Patrick Barnes, who died from complications of Idiopathic Thrombocytopenic Purpura (ITP) at the age of 33. Like many families who go through this kind of loss, the Barnes family was looking for a way to turn their grief into something positive to honor Patrick. The family came up with DAISY—an acronym for Diseases Attacking the Immune System. Having been touched by the remarkable care, clinical skills and compassion demonstrated by nurses throughout Patrick's illness, the Barnes family made it their mission to recognize exceptional nurses around the world. The Barnes family believes nurses are the unsung heroes of our society, deserving far more recognition and honor than they receive. As a way to say 'thank you,' the family created The DAISY Award for Extraordinary Nurses. There are now more than 3,400 health care organizations in 21 countries committed to honoring nurses with The DAISY Award. The nurse chosen to be honored with the DAISY Award receives the Healer's Touch sculpture. Each sculpture is hand-carved by artists of the Shona Tribe in Zimbabwe. 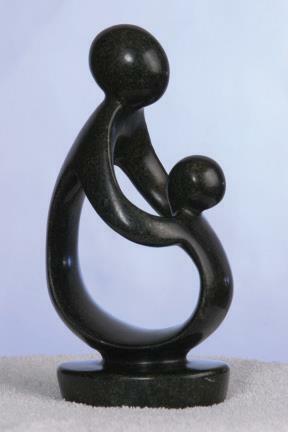 The Foundation chose this beautiful design not only because it depicts the unique relationship nurses have with their patients, but also the Shona people hold their healers in a position of great importance to the community. DAISY has 14 artists working full-time, creating these beautiful works of art. With the money The DAISY Foundation pays, more than 500 people in the artists' extended families are supported. Nominate your nurse for a DAISY Award by completing the form below.